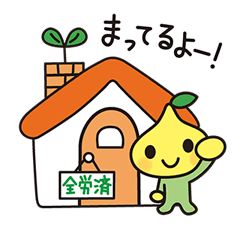 Zenrosai’s Pit-kun is a superhero that protects the welfare of workers all across Japan. From cooperative federation ZENROSAI, here comes Pit-kun! This little seed is a bit shy but he's always ready to do his best whenever it's needed. He's ready to sprout and make your chats bloom with fun energy! 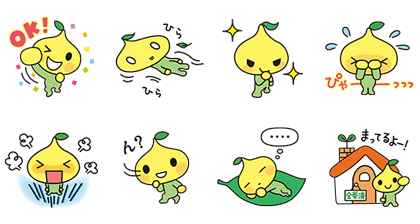 Pit-kun from cooperative federation ZENROSAI is here with a handy sticker set! 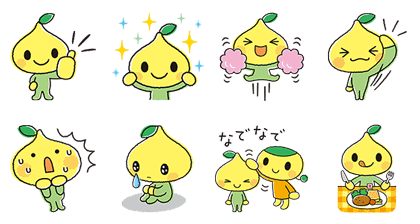 Use this little guy and all 8 of his stickers to make your chats bloom with fun. Friend ZENROSAI's official account to get them for free. Copyright : 2014 – 2019 ZENROSAI All Rights Reserved.